The Airplane Geeks™ podcast is a weekly audio program that looks at the world of aviation. First published in 2008, we aim to educate and inform you, explore and expand your passion for aviation, and entertain you a little along the way. We discuss commercial, military, and general aviation topics, usually with a prominent industry guest. Episodes typically contain a number of segments, such as the week’s aviation news and events, the conversation with our guest, aviation history, reports and interviews from our global contributors, and feedback from the Airplane Geeks™ community. We take great pride in the fact that our audience is passionate and engaged. On Twitter, Facebook, Slack, and through email feedback and listener-produced recordings, our listeners tell us what they know, what they think, and what they want to know. It’s quite remarkable. Now retired, Max spent 35 years in the aviation industry with a jet engine OEM. His online aviation content started with the Thirty Thousand Feet aviation directory back in 1996 when it was hard to find aviation resources online. That single short web page has grown (some would say pathologically) to include links to over 20,000 aviation resources that span commercial, military, and general aviation. These days, Max focuses his online activity on aviation podcasts. He co-founded the Airplane Geeks podcast in 2008 with Courtney Miller, which grew into one of the premier aviation podcasts. He also produces The UAV Digest with David Vanderhoof. That weekly show covers unmanned aerial vehicles and systems. In addition, Max co-hosts the #PaxEx Podcast with airline passenger experience industry expert Mary Kirby. That show is part of Mary’s Runway Girl Network, an excellent source for airline news and current topics. Max is proof that you don’t need to be a pilot to be an airplane geek. Which is good because he’s too cheap to ever get a pilot’s license, let alone hold any financial interest in an airplane more expensive than a desktop display model or a small quadcopter. You can follow Max on Twitter as @MaxFlight or find him on LinkedIn. David is not a 35 year professional anything yet! David grew up around aircraft. His father was Base Civil Engineer for the USAF 913th TAG at Willow Grove, PA. His first toy was an airplane; from that point on he never stopped looking up. David graduated from Temple University with a degree in Military History and Diplomacy, focusing on the air wars of the Middle East. Realizing that there was no money in knowing about the Air Orders of Battle of Israel and the rest of the Middle Eastern States, and he needed to eat, he eventually landed in a career as a marketing professional. David has climbed the ranks of the podcasting world. Starting first, as a Geek’s listener. Then with the power of an email became a weekly contributor, as AGP’s Historian. Eventually, he joined the team as a co-host and resident expert on tankers. David now also co-hosts and produces The UAV Digest podcast with Max. David is also under a “Code Sharing” agreement as a contributor to the Plane Crazy Down Under Podcast. David is a plastic modeler, photographer, and reader. You will always find him paging through books looking up some obscure piece of information, or “geeking” out on the latest episode of Doctor Who! David can be found at his blog “What Just Flew By?” or on Twitter @DMVanderhoof. Brian has spent his fair share of time in commercial aircraft. With over 3 million miles on United and a million miles on American, plus a few thousands on everyone else, he knows his way around the airlines. It doesn’t matter if it’s a regional plane or the heavy metal; he is quick to share his opinions on flight experiences. His travels have brought him to all parts of the world except the southern part of Africa and Russia. Brian has also written several airline related travel stories documenting these adventures as well as several airplane reviews. He is currently working on a book to further document these travel adventures. As the Associate Producer of the Airplane Geeks (although Schlepper and Grunt were tossed out as possible titles), Brian’s job is to find, vet, schedule and prep guests for the podcast, as well as any other miscellaneous tasks that need to be done. Max appeared as a guest on the Airplane Geeks multiple times, starting with episode #59. Then he slid over to a cohost chair in 2014 as a summer replacement, while Rob Mark took several months off to write a book. He’s been a regular on the show ever since. We sometimes call him Max West, to avoid confusion with Max Flight in Connecticut. 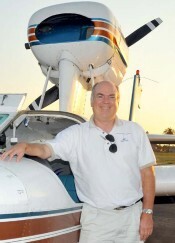 Max is a flight instructor, author, and publisher. He started flying at age 15 and finished his pilot certificate in college. Throughout high school and college, he worked as a disk jockey at five different radio stations and spent two summers working for CBS radio. He graduated with degrees in Electrical Engineering and Psychology and spent 25 years working in marketing, sales, and management positions for Hewlett-Packard. He left HP in 2004 and now devotes full time to teaching flying, writing, and giving speeches and seminars. 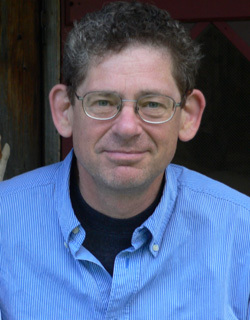 He’s also been a consultant for NASA Ames in Mountain View, Calif. He’s written two books, including Max Trescott’s G1000 and Perspective Glass Cockpit Handbook, now in its fifth edition. He holds an ATP certificate for all four airplane categories and is an FAA Gold Seal CFI. He was recently type-rated in the Phenom 100 and Eclipse jets. 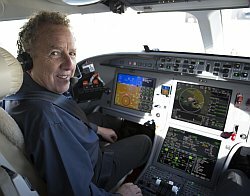 He lives in the San Francisco Bay area and specializes in teaching in glass cockpit aircraft, particularly Cirrus aircraft and all G1000-equipped airplanes. In 2008, he was named the National Certificated Flight Instructor of the Year, an award presented to him by the FAA Administrator at EAA’s AirVenture in Oshkosh, Wisc. 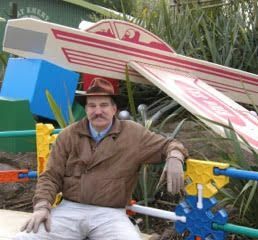 He owns a Lake amphibian seaplane and is President of the Aero Club of Northern California. Like some of the other Aviation Geeks, he has a growing fleet of quadcopters and RC planes he flies for fun. Micah is based out of Portland, Maine in the USA, and is often referred to as our Main(e) man. He says he discovered his love of all things airplane even before he discovered girls. The son of an Airplane Geek mother and father, Micah’s first flight was at 13 years old when he flew from New York City to New Orleans with his then 73-year-old grandfather. (Coincidentally it was his grandfather’s first flight too! That story was told on Airplane Geeks Episode 238 and is appropriately titled My First Flight.) As a self-taught airplane geek, Micah has been recognized internationally as having a vast broad-based knowledge of aviation. His expertise includes both military and commercial aeronautics as well as an extensive familiarity with general aviation and rotor-wing craft. Micah’s contributions to the Airplane Geeks podcast include both anecdotal stories and opinion pieces. He shares the joys and wonder of aviation in a manner which often includes a sometimes unexpected twist of humor, appreciated and enjoyed by both experts and laymen alike. Micah’s features and commentaries engage his audience not just with aviation facts, but by relating feelings and sensitivities that touch the hearts and minds of listeners of all ages. Through a lifelong love of flight, Micah attempts to bring both fact-based and emotional content to all things aviation, conveying ideas in a manner unique and often atypical in aviation reporting. Benét is the founder and sole proprietor of Aviation Queen LLC, an aviation/travel freelance and content writing business. She is a long-time aviation/travel journalist and blogger who has worked for publications including Aviation Week, Aviation Daily, The Weekly of Business Aviation and Commuter/Regional Airline News. 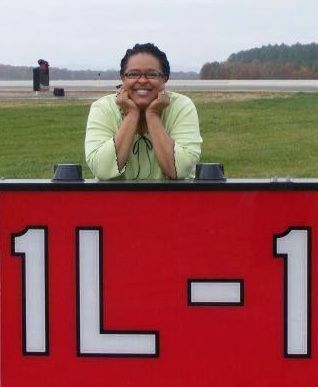 She has worked in the aviation/travel industry for 25 years, including stints in communications and public relations for two airlines and an aircraft engine manufacturer. She graduated from American University in Washington, D.C., with a B.A. in journalism. She is an Air Force brat and resides in Baltimore, Md. Launchpad has held a private pilot’s license since 1998, a glide rating, and is an Advanced Ground Instructor. He is a Colonel in the Commemorative Air Force and a rated crewmember on the B29 ’FiFi’. He has attended every Paris Airshow since 1991. In the last year alone he has files reports from HeliExpo, Sun ‘n Fun, AERO Friedrichshafen, Paris Airshow, AirVenture, and the Red Bull Air Races. He has been associated with Pipistrel aircraft acting as a sales associate and “Booth Babe” at all the large trade shows Sun ‘n Fun, AERO Friedrichshafen, AirVenture since 2008. Launchpad, along with Pipistrel-USA, is the host of the Pod-A-Poluzza event at AirVenture for Podcasters and new Media producers. 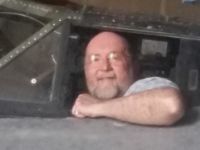 This former Army Captain has the most fun flying EAA Young Eagle flights and talking aviation with anyone who will listen. After living for 25 years in Germany working for the Department of Defense, Launchpad moved with his family to central Texas. For his day job, he still works for the Department of Defense as an Audio / Visual and Video Teleconference manager. 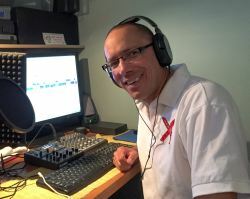 Pieter presents and produces Europe’s premier aerospace radio station Xtended. The programme seeks to promote, report and feature the aerospace and aviation industry from both the UK and European perspective, as well as generating interest in the sector worldwide. With several hundred features, interviews and programmes under his belt, it has been said: “He has done more for promoting European aviation than anyone else”. It is his personal objective to promote aviation and aerospace to those interested and to inform those who seek to be more interested. Pieter’s love of aircraft and flying started when he was introduced to flying by his father; who flew Barracuda and Swordfish in the Royal Navy Fleet Air Arm as a Telegraphist Air Gunner. His flying ambitions sadly were short lived. He solo’d on 8 hours at Panshanger (EGLG) in the UK and later solo’ing again in the USA at Arthur Dunn (X21) airfield in Florida. He got as far as his solo cross-country flight before running out of resources! He has never lost the passion to be in the air and has occasional flight lessons (often to create content for his programmes), or he can be found in the window seat of a passenger airliner whenever the opportunity arises. Robert Mark, a 35-year aviation-industry veteran in 1996 started CommAvia, a global creator of leading-edge media content for the aviation industry. The company blends aviation industry knowledge with new-age media tools to craft stories stakeholders want. 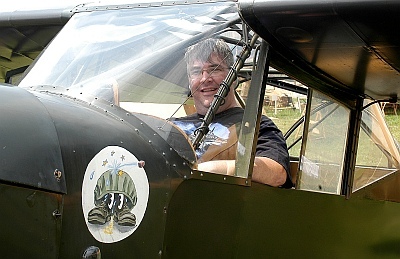 Rob, now a senior editor at Flying magazine, is the former editor of AINSafety at Aviation International News, has twice won the coveted Airbus Aerospace Journalist of the Year award at the Paris Air Show, as well as the National Business Aviation Association’s (NBAA) 2010 Award for Outstanding Journalism. He has written for AOPA Pilot, Air Line Pilot, Air & Space, The Chicago Tribune, Omni, Airport Business and P1 Digital Media. He is also the author of four McGraw-Hill books, the most recent being the second edition of a Professional Pilot Career Guide published in June 2007, a volume currently being updated for a third edition. Rob is an Airline Transport Rated pilot type-rated in a number of business jets and has logged nearly 7,000 flying hours in the airline, Part 135 and Part 91 environment. He holds a current airplane, instrument and multi-engine flight instructor certificate. He’s flown small training aircraft, corporate jets, and even the mighty Airbus A380. Rob also spent 10 years as an air traffic controller and supervisor with the FAA. Rob edits the award-winning, aviation insiders blog Jetwhine.com and each summer he co-hosts “Attitude Adjustment,” a daily radio show at EAA AirVenture in Oshkosh. A regular aviation news contributor to Fox News, WGN-TV and CNN, Rob also served as an aviation news analyst for CBS, NBC, PBS, the BBC and a number of national radio outlets such as Chicago’s WLS Radio, WGN Radio, WIND Radio and the Bill Cunningham Show on Cincinnati’s WLW Radio. A professional speaker and voiceover talent, Rob has engaged audiences on a variety of aviation business marketing and safety topics at national and regional conferences. As an adjunct faculty member at Northwestern University’s Medill School of Journalism, Rob taught graduate classes such as Marketing & Public Relations, as well as Communications Skills & Persuasive Messaging, focused around emerging media. Rob is a member of the National Business Aviation Association (NBAA), the Aircraft Owners and Pilots Association (AOPA), the Experimental Aircraft Association (EAA), the Flight Safety Foundation, the International Society of Air Safety Investigators (ISASI), the American Society of Journalists and Authors (ASJA), the Wichita Aero Club and the Society of Professional Journalists (SPJ). He received his Master of Science degree from the Integrated Marketing Communications program at Northwestern University’s Medill School of Journalism and was awarded a Bachelor of Arts degree in English from Northeastern Illinois University. He also served four years of active duty with the U.S. Air Force. Rob resides with his family in Evanston IL. Together, Grant and Steve produce the Australia Desk Report, covering aviation from that regional perspective. When not creating content for us, they put out the Plane Crazy Down Under Podcast. Grant works as in the hot air ballooning industry as office manager, project manager and ground crew with Picture This Ballooning. A perpetual student pilot, Grant has tried a couple of times to get his fixed wing license, his glider pilot’s license and, currently, his balloon license. Each time he gets further into his training, something else comes up and he either relocates around the world or watches his flying money disappear into other causes. Finally being able to link his IT geek with his Aviation Geek, Grant looks after the website, arranges interviews and generally causes cheeky mischief. Grant can be found at his Fly Me Friendly blog as well as Falcon124 on Twitter. 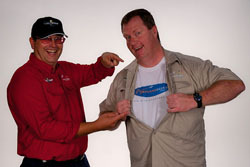 Steve is a self-confessed podcast junkie and lapsed pilot with a range of ratings in Australia and the United States. He currently drives trains for a living and dreams of getting back in the air again just as soon as life stops putting roadblocks in his way. He’s studied freelance journalism (but never finished) and is also a firefighter with the Country Fire Authority in his “spare” time. He often admits to spending far more time than he should fiddling with computers and other “geek” gadgets, and his “leet mixing skillz” are stretched to the max as he works hard to ensure they sound as coherent, intelligent and witty as possible with each episode. Steve can be found at his Aus Flier blog and on Twitter as SteveVisscher.